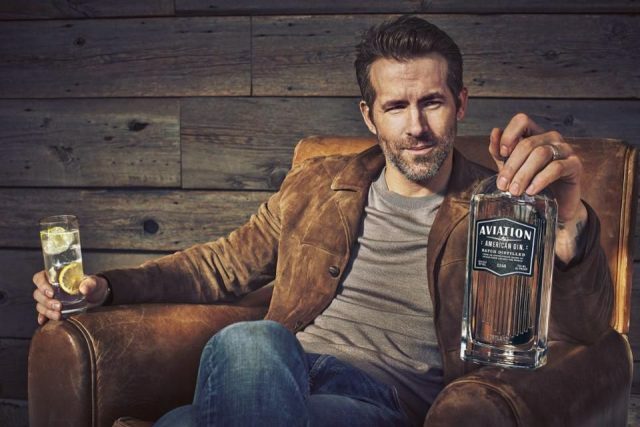 Actor Ryan Reynolds has bought a “significant” stake in the US-based Aviation Gin, becoming its new owner and creative director, calling it the “best damn gin on the planet”. The Deadpool star has purchased an “ownership interest” in the US gin, based out of Portland in Oregon, its co-owner Davos Brands has confirmed. Reynolds, who was listed as the world’s 15th highest paid actor in 2017 by Forbes, pursued the investment after tasting Aviation Gin for the first time, a press release claimed, which also offered a personal line to Reynolds via his new company email address. Predictably, and perhaps sensibly, the email address fired out an automated out of office response from the actor, which nevertheless shed some light on Reynold’s interest in the brand. It read: “Thank you for your email and interest in Aviation American Gin! I’m away from my desk at the moment but will respond the moment they give me a desk. “About a year ago, I tried Aviation for the first time. Since that day, I’ve spent my time finding some way to infiltrate the company. I did this for one simple reason: It’s the best damn gin on the planet. Period. “My responsibilities here at the company are vast. I’ll spend my days being photographed intermittently clinching my jaw muscles while pointing at things and nodding. I’ll drink Aviation Gin. I’ll sit in board meetings, imagining my very own Red Wedding. “I don’t know whose idea it was to allow me into the gin business, but I can assure you, there are smarter, more reasonable people in charge. He signed off the note as “Ryan Reynolds, owner, Aviation American Gin”. As part of his investment, Reynolds will also take a seat on its board, become a creative director for the brand and “play an active role in the day-to-day business” as part of his “mission to introduce the world to the great taste of Aviation,” the release stated. While Reynolds is named clearly as the company’s new owner, the size of his stake in the company, nor its value, have been disclosed. HIs investment follows other high profile celebrities to have entered the spirits arena, including Diddy and more recently George Clooney, who last year sold his Casamigos Tequila brand to Diageo for US$1billion – a deal Reynolds no doubt will have noted. Davos Brands bought Aviation Gin in from Oregon-based House Spirits Distillery in 2016 for an undisclosed sum.